Two clients have won exciting awards in recent days. 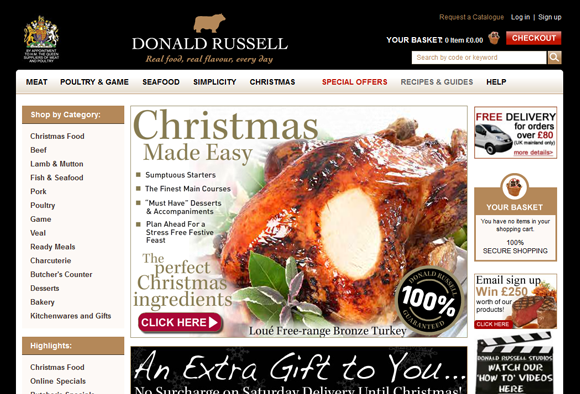 Woman and home magazine’s food editor, Jane Curran, recommended great websites to buy good food online or via mail order and put Donald Russell at the top of the list for its selection of top-notch beef and venison, welfare-kind veal, Scottish fish and seafood. Real Flowers was awarded a prestigious RHS Certificate of Merit at the Chelsea Flower Show; the highest award the RHS grant for stand design and presentation.